Feed up to 800 inserts per minute! Can be customized to fit any production line. Web presses, folding, die cutting, wrapping, warehousing and distribution. AIB certified. Fast turnaround on paper, poly, magnetic, etc. Sheets or rolls for automatic or hand application. Gallimore Industries offers in-pack and on-pack promotional items, high volume web printing, and patented inserting equipment. 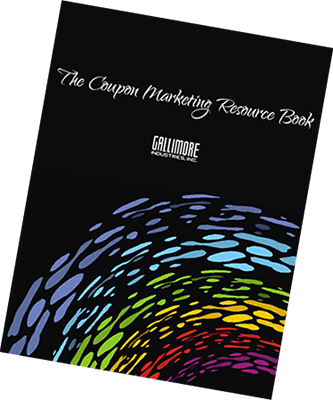 Since 1972, Gallimore has produced thousands of promotional campaigns designed to increase market share, generate repeat business, cultivate lifetime customers, regionalize campaigns, and more. Put our experience to work for you. NEW! Introducing Gallimore's newest tool to insert coupons, tattoos, prizes, booklets, recipes, game pieces, et cetera! The 800 Series can handle paper, film, foil, clear, and metalized wrapping, and offers: Intelligent Automation · Easy Setup · Carefree Operation · Built To Last · Flexible Installation!